A hidden world of mystery has succumbed to an ominous darkness. Unleash the Orbs! A hidden world of mystery has succumbed to an ominous darkness. Now you must make your way through the fallen lands, light magical braziers and discover a way to banish the darkness once and for all. 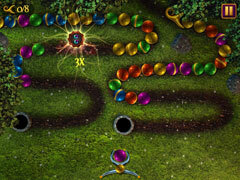 Unlock potent powerups and use the ones you like the most to overcome Chained Orbs, Rock Orbs, Survival levels and other exciting challenges. Can you carve a path of light through the darkness? 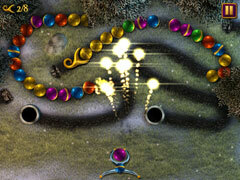 Sparkle Unleashed introduces floating Orb Slinger gameplay never before seen in a Sparkle series game. 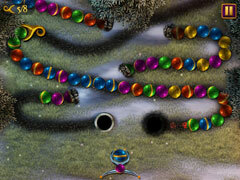 The unleashed Orb Slinger floats along the bottom of the screen providing a new kind of action puzzle experience.